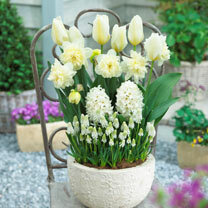 A great way to brighten patios or balconies with classy colour combinations. 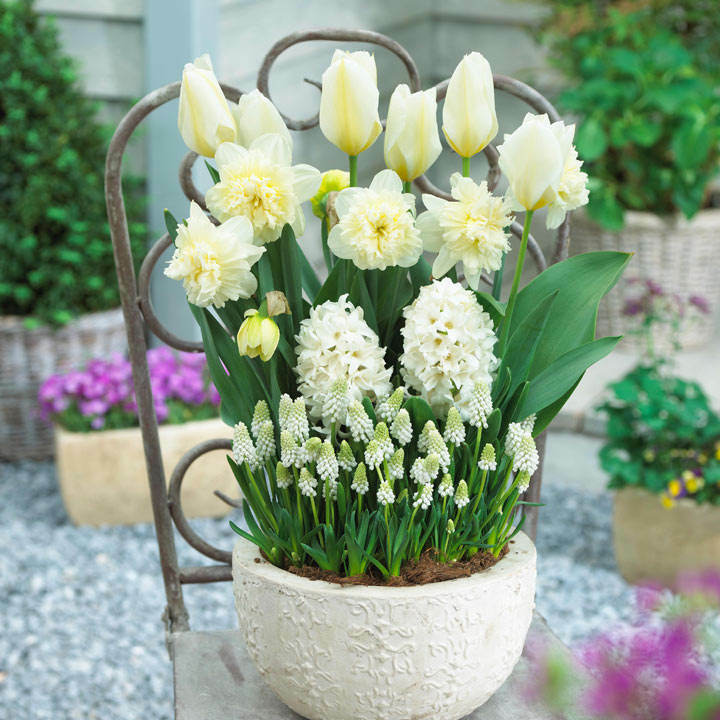 A white collection of narcissus, tulip, hyacinth and muscari. Why not pair them with matching bedding plants (as pictured). Flowers late February-April. Height 20-30cm (8-12").